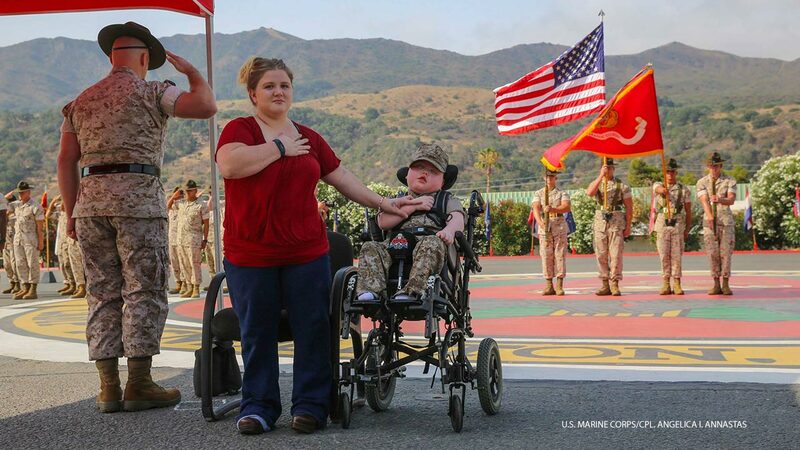 ORANGE, Calif. -- An 8-year-old Orange County boy with a rare disease died one day after becoming an Honorary Marine. Jeremiah said Wyatt passed away at 10:06 a.m. on Sunday. He said Wyatt was peaceful and pain free. "Thank you all so much for letting Wyatt into your hearts, and allowing him to make you smile, it was his favorite thing to do," Jeremiah wrote.